Not too far from the Arc de Triomf and Sagrada Família is the Parc de l’Estació del Nord. 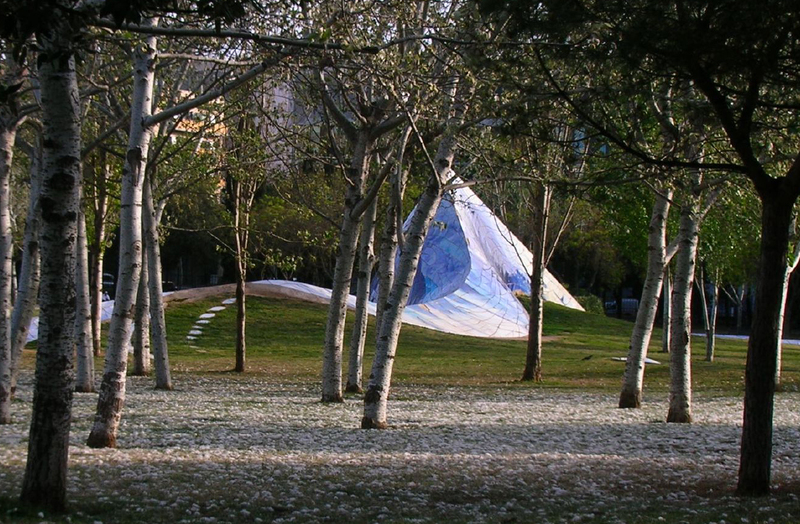 In this parc is a Blue wavy structures protruding from the ground. There’s an enclosed area that’s perfect for swinging and climbing, benches lined perfectly for prime dog-watching, add the usual breeze and you have a beautiful day at the park for the whole family! The park is easily accessible for younger children, and most will have fun in the play areas and on the structures. Parc de la Ciutadella is the cultural oasis of Barcelona’s city center. 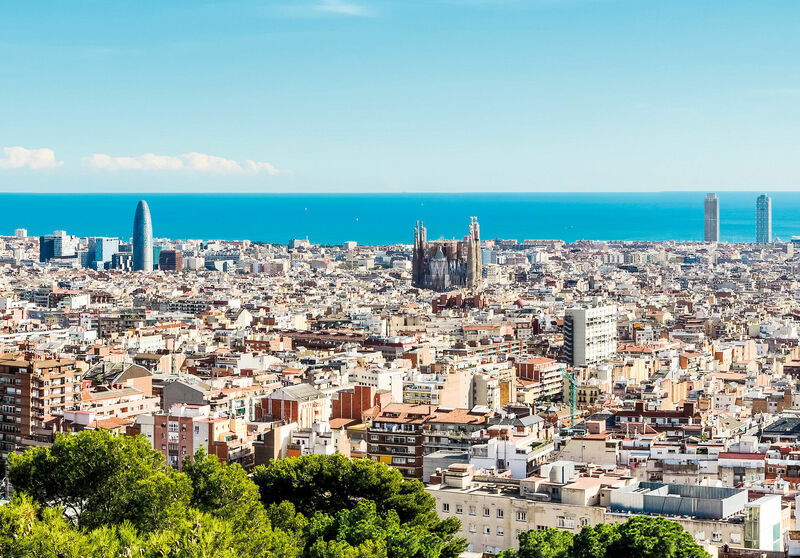 Once a 17th-century military citadel, the place is the home to the parliament building of Catalunya, two museums, the zoo and an endless pasture fit for basking in the afternoon sun or even indulging in a quaint picnic. In one corner you can find a gorgeous waterfall where visitors often lounge, kick around a ball, take some photos and watch as their children pop giant bubbles. Only a few strides away are a small play area for children to climb and swing and as a lake where you can peek at the geese and rowboats as they drift by (or perhaps even try a boat yourself). The park and playground are easy places for young ones to fumble around, where they have plenty of room to run free. 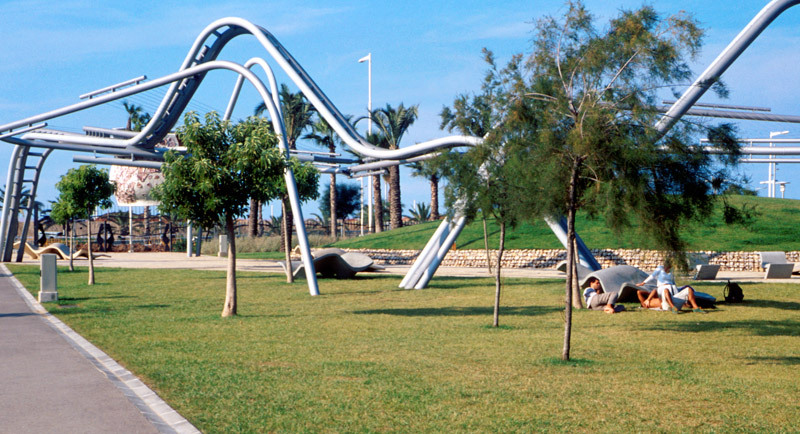 If you’re out and about along Barcelona’s Mediterranean stretch and looking for a break from the walking and talking, head over to Parc de Diagonal Mar. The kids will love the wide open space for running and jumping, and you’ll enjoy the cool sea breeze and, let’s be honest, everyone will love the curvy and unique steel architecture that curls out of the ground. You’ll find an abundance of water in the pools and under the bridges, and there are plenty of benches and uniquely sculpted chairs where you can sit and take a break, and you have loads of dining and shopping options right there by the seaside. The play areas and slides could be fun for younger children, but the areas with huge metal structures might be a bit daunting. We hope you you will have a great time with your family in these parks. We will be delighted to welcome you in our family aparthotels in Sarria, Barcelona.